They say this could have been caused by leaves! But look at the pretty flames. 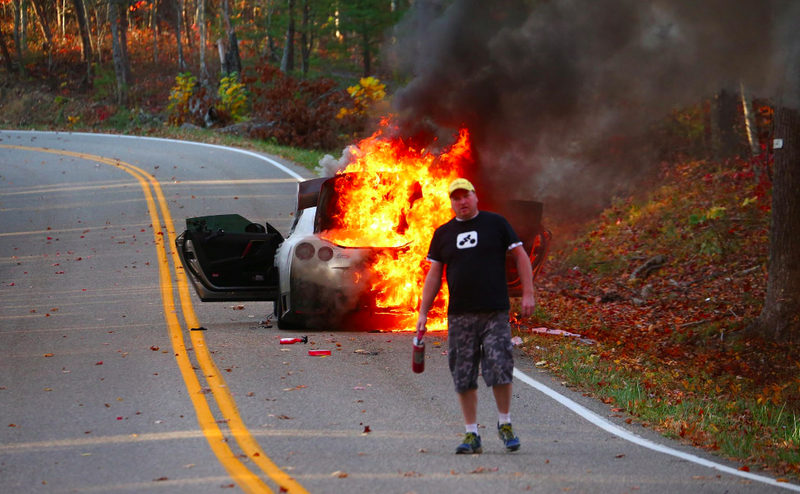 There not as nice when a Ferrari is burning!